Nasir is a correspondent for Dundun Media, which focuses on exposing corrupt practices amongst individuals in government. His laptop crashed and he urgently needs to send in his article for publishing tomorrow. He decides to use a neighbourhood cybercafe but is worried it may not be secure. Every browser (Internet Explorer, Firefox, Google Chrome, Opera etc) keeps a copy of the sites you visit, the pages you click and even your password in a place called cache. The next person to use the computer may be able to check this information if they know what to do. Make sure you sign out of websites by clicking “log out” or “sign out” on the site. Do not just close the browser and think you are safe. The next person may be able to open the browser and find you are still logged in. Sometimes this feature is turned on, by mistake or on purpose. Make sure it is not enabled. Go to Tools | Internet Options | Content. In the AutoComplete panel, click the ‘Settings’ button and verify that the ‘Prompt Me To Save Passwords’ check box is deselected. None of the other AutoComplete features needs to be enabled either, so deselect them as well. This is really important especially with sensitive information on the screen. If you have to leave the public computer even for a few minutes, sign out of all programs and close all windows. Then erase your tracks. 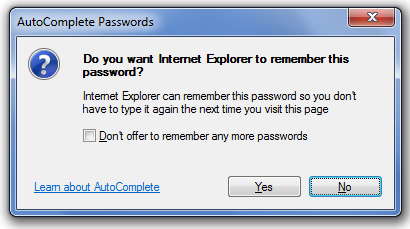 Web browsers such as Internet Explorer keep a record of your passwords and every page you visit, even after you’ve closed them and logged out. Go to Tools | Options, click the Privacy tab, and select Always Clear My Private Data When I Close Firefox. When you’re finished using the public computer, the final thing you should do is a hard reboot. 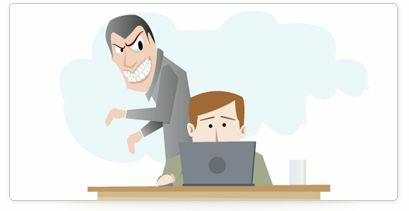 When you use a public computer, be on the lookout for people who look over your shoulder or watch as you enter sensitive passwords to collect your information. A cell phone camera or someone with a good memory could capture your information easily. Don’t forget people can watch your hands and see what keys you press. It happens. You get in a hurry and leave your USB drive (or floppy) on the public computer. Always remember to take it out. Remember to sign out of your accounts when you are finished. Watch out for snoopers around you. Dolapo runs out of mobile data whilst waiting for her flight to Abuja where she holds a Campaign against "Girl Trafficking". She has to share a list of possible sponsors with her secretary. She connects to the airport wi-fi which is fictitious and now her communication has been intercepted. Nasir recently put up his email ID on a news and social forum. Now, he keeps getting over 50 spam mails in a day to sign up for irrelevant newsletters, free products and so on.